Edgard Alvarez is a Counsel in the Firm’s New York office in the Corporate and Ibero-America Private Client practice. With an emphasis on private and public offerings of asset-backed and other structured products, Edgard's practice has led him to advise South American commodity producers in export receivable securitization transactions, major international financial institutions in SEC-registered and private offerings of credit card-backed securities, and a leading global asset manager in public offerings of commodity-based exchange-traded funds. He has also been involved in offerings of less traditional financial products such as weather- and longevity-linked bonds. More recently, Edgard has advised clients in matters related to the application of the U.S. federal securities laws to digital assets. As part of his job of helping clients bring their securities to market, Edgard has worked with U.S. federal securities regulators to obtain no-action or other forms of relief when the particular circumstances of a client so require and has advised clients in connection with the preparation of comment letters addressed to U.S. and international regulators advancing clients' views or concerns with respect to proposed new regulations. 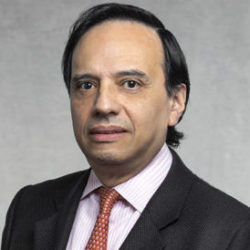 A former litigator and part-time law professor in his native Colombia, Edgard offers clients decades of experience in handling complex international transactions that span legal systems, asset classes, and all kinds of market conditions, from the "irrational exuberance" of the late 1990s to the challenging times of the post-Lehman bankruptcy in 2008. Prior to Brown Rudnick, Edgard was a Counsel at Hogan Lovells US LLP and Clifford Chance US LLP.